This week in Stingers Briefs, Concordia’s basketball and men’s hockey teams all won on the road. The Stingers won their sixth straight game of the season, with 64-61 against the Bishop’s Gaiters on Saturday night in Sherbrooke. Concordia was led by Ken Beaulieu who scored 15 points, and Jaleel Webb, who added 14 in the victory. 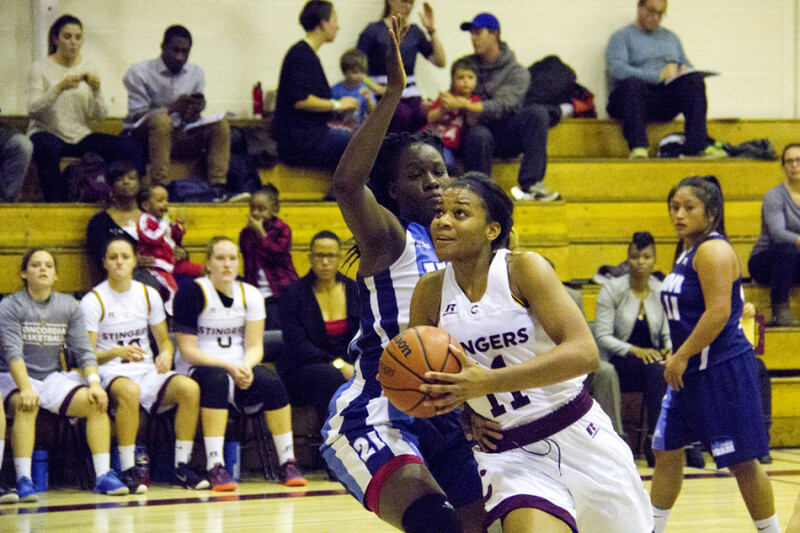 Bishop’s had three players who scored more than 11 points in the win, but it wasn’t enough to stop the Stingers. Concordia is currently tied for first place in the Réseau du Sport Étudiant du Québec conference with the McGill Redmen. The Stingers will play fourth place Laval on Thursday, before meeting the Redmen on Saturday afternoon. Concordia capped off this past week with two victories over the Bishop’s Gaiters, their most recent win coming on Saturday, winning by a score of 58-46. Marilyse Roy-Viau scored 18 points in the win, while teammate Richelle Gregoire scored 16 points and collected 12 rebounds. The Stingers were down 24-23 to the Gaiters at halftime. Bishop’s women’s team hasn’t won a game since Feb. 24, 2012. Concordia then matched their first half output in the third quarter, outscoring their opposition 23-8, en route to victory. Concordia’s men’s hockey team allowed seven goals against the McGill Redmen in a loss last Friday, and took out their frustrations on the Royal Military College Paladins, winning 7-4 at the Constantine Arena in Kingston, Ontario. Olivier Hinse scored two goals in the victory, adding to the three goals he scored against McGill two days earlier. Hinse also had an assist in the win, ending the night with three points. Teammate Philippe Hudon added three assists in the victory, Concordia’s ninth win of the season.